Kim and Andy Townsend of Collegeville have two children. Their youngest son Tanner, 15 has congenital heart disease. In December of 2009 the doctors at The Children’s Hospital of Philadelphia told the Townsend family that Tanner would need a heart transplant. 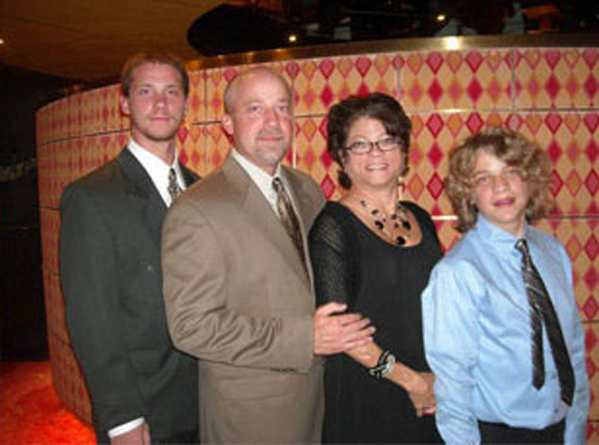 Tanner went into Congestive Heart Failure and was admitted to the hospital on November 11, 2010. He was placed as a priority status on the transplant list at that time. An organ became available on December 5, 2010 and he received his new heart the next day. Tanner remained in the hospital for 2 months battling several minor setbacks and complications. After coming home, Tanner had a few more complications and had to be re-admitted to CHOP. Tanner’s treatment will be ongoing for the rest of his life even as an adult. Transplanted hearts seem to last 15 to 25 years, and he may require additional intervention later in life. Tanner’s transplant medications average $5,000.00 per month. Tanner and his family are strong volunteers with the Children’s Miracle Network and good members of the community. They have always believed in giving back to those less fortunate and are very humbled receive help from Homers for Hope. Homers For Hope was able to pay for: 3 mortgage bills and 1 food bill.